The Palm Beach County Sheriff’s Office needs the public’s assistance identifying a male suspect using stolen credit cards at a local Target Store. Can you identify this male? 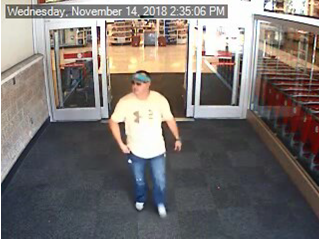 He was captured on surveillance video walking out of Target after using the victim’s stolen credit cards. The victim suffered a loss of over $ 1500. This incident occurred on November 14, 2018. 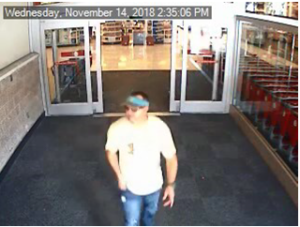 Target is located in the 600 block of N. Congress Ave, Boynton Beach.